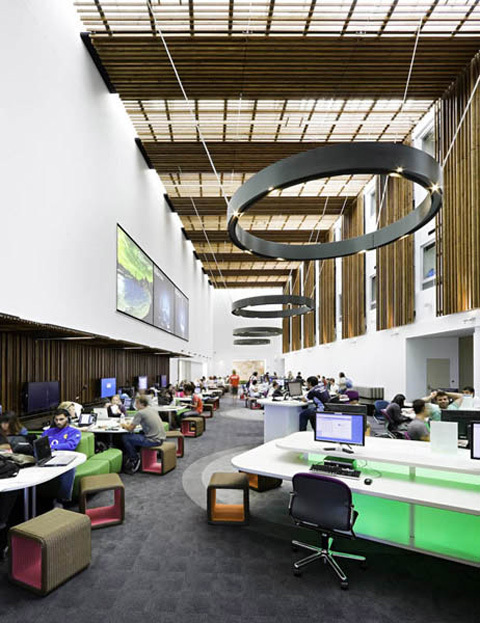 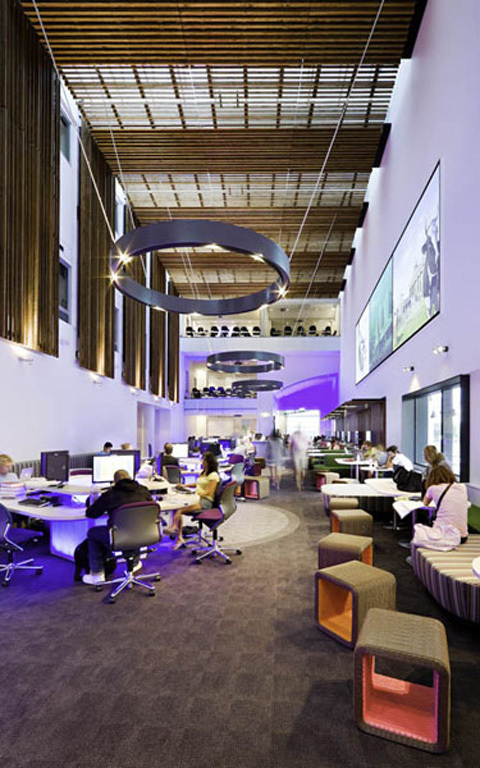 The centre comprises a number of zones including learning and interactive lounges, group-oriented study booths and enclosed collaborative learning rooms. 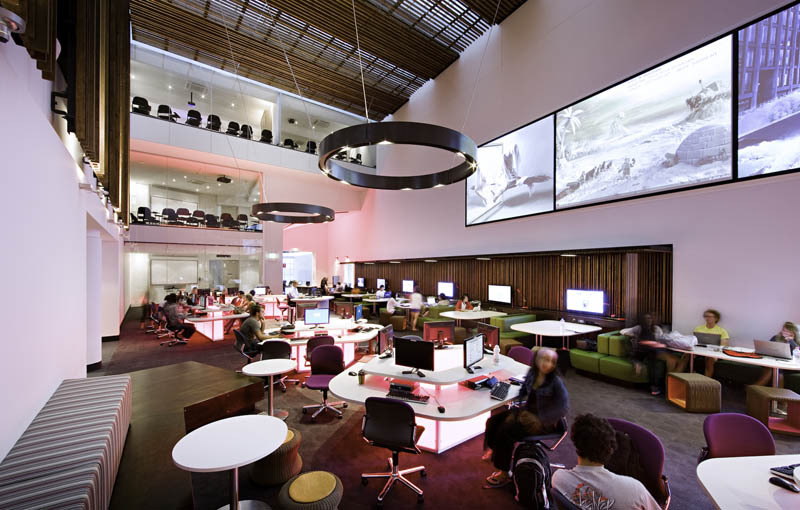 A laptop bar near the entry allows for quick access to information and social networking. 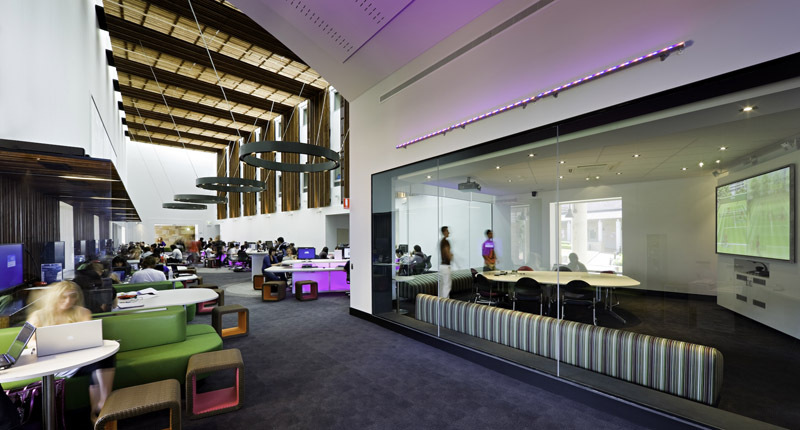 A concierge-style kiosk is staffed at all times, providing support and information for students. 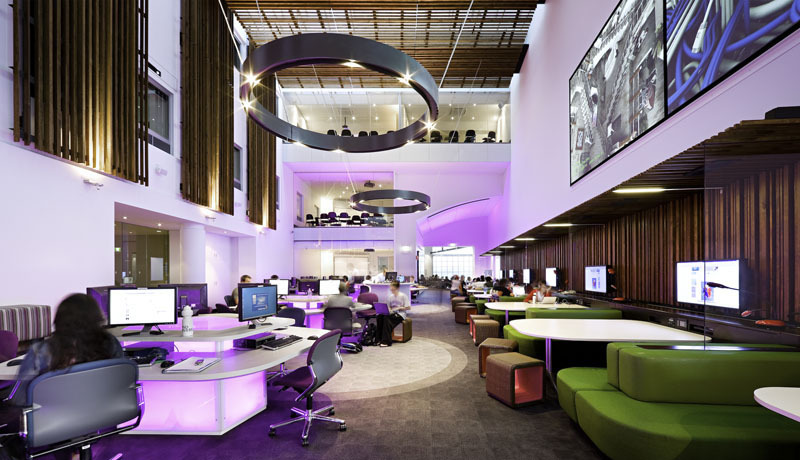 The facility also houses two newly constructed mezzanine levels which are now used as teaching spaces.